Even more ways to pick up a Hitchens poster. I just set up a Pacificvs Etsy shop! From here I’ll be selling prints and collections as they come up. 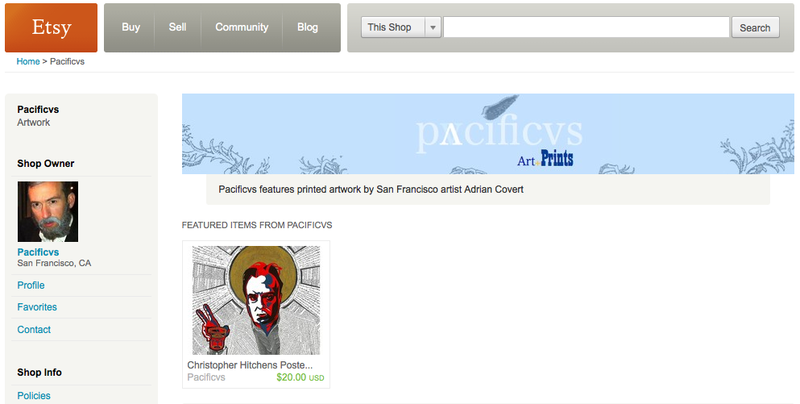 Right now, only the Christopher Hitchens poster is available. But he looks lonely all alone up on that board, so other prints will be joining him soon. Check often: more literary figures are on the way.